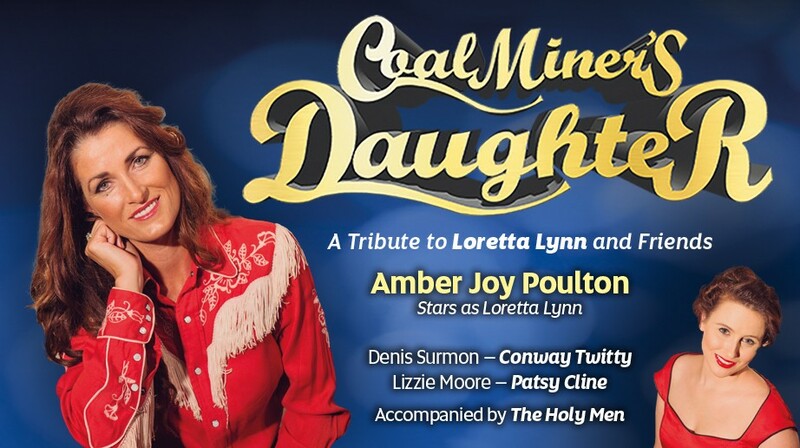 Coal Miner’s Daughter pays homage to legendary singer Loretta Lynn with look-alike songstress, Amber Joy Poulton, shining the spotlight on one of Country’s most beloved performers. Much more than a tribute, Coal Miner’s Daughter includes ‘friends’ - accomplished musical theatre actress Lizzie Moore as Patsy Cline and acclaimed musician Denis Surmon as Conway Twitty and Nashville’s #1 disc jockey, Sleepydog and has recently premiered in regional Victoria to full houses with standing ovations. Don’t miss this electrifying musical tribute to Loretta Lynn and friends.